Is your child at risk for a traumatic brain injury – TBI? How do brain injuries happen, and how many traumatic brain injury victims are children? If your child sustains a traumatic brain injury, what are your family’s rights? And what are the prospects for a child who sustains a catastrophic, permanent brain injury? In 2015, the Centers for Disease Control and Prevention (CDC) reported that in the U.S., TBI is the primary cause of death and disability for children ages 0-to-4 and for adolescents ages 15-to-19. In the United States, about 150,000 young people under the age of 20 are living with the long-term physical, cognitive, and/or behavioral effects of TBI. The way a traumatic brain injury affects a child can be quite different from the way the same injury would affect an adult. The long-term impact of a child’s brain injury may not be immediately detectable because a child’s brain is not fully developed – it is still developing. Thus, a child’s brain injury may trigger an ongoing disease process – rather than a single event – because over time, a child’s brain various brain injury symptoms will emerge and change. HOW CAN A BRAIN INJURY AFFECT LEARNING AND THINKING? What is probably most significant for a young brain injury victim is the potential loss of cognitive functioning. Children who sustain severe or sometimes even moderate injuries to the brain may have difficulty remembering or processing information. A traumatic brain injury can impair a victim’s capacity to learn, think, concentrate, and remember. Behavioral changes may also include irritability, rapid mood swings, depression, and/or verbal emotional outbursts. A young brain injury victim may also experience fatigue, nausea, headaches, sleep disorders, seizures, or tinnitus. Many other symptoms are possible, all leading to a number of unfortunate consequences. For instance, a child who sustains a severe or moderate brain injury will very likely become an adult with considerably diminished job prospects, particularly in an information-based, rapidly automating economy. Illinois law entitles the injured victims of negligence to compensation for their lost wages, and when a victim of negligence is unable to return to work, he or she is additionally entitled to compensation for “lost future work capacity” – that is, lost future wages. HOW CAN A CHILD’S “FUTURE WAGES” BE CALCULATED? When a traumatic brain injury victim is a child, and the injury has resulted in permanent impairment to the child’s cognitive abilities, how can lost future wages be estimated when the child is too young to work? Here in Illinois, an experienced Chicago personal injury attorney can often help the parents of brain-injured children answer that question – which no family, of course, should ever have to face. When a young adult has already entered the workforce for a period of time, has earned an amount of income, and then sustains a permanent injury which prevents that person from ever working again, the future income loss can be calculated based on the victim’s income prior to being injured. The future earnings loss is reckoned by projecting already-earned income into the future – for as many years as the victim would be reasonably expected to work until retirement – while also taking into consideration factors like wage hikes, bonuses, promotions, and seniority. In these cases, a personal injury lawyer will probably seek the help of a financial expert to arrive at a fair and reasonable compensation figure. The attorney will then seek that sum on the family’s behalf. WHAT RIGHTS DO THE YOUNGEST TBI VICTIMS HAVE? Of course, when a permanent brain injury victim is a child, determining a fair and reasonable compensation amount is more difficult because a child has not worked or earned income. The younger the child, the more difficult it is to make a reasonable calculation of lost future income. There is no way to know if a young child will – or would have been – a doctor or a day laborer. In these cases, the family’s personal injury attorney will likely consult with the child’s neurologist, with a vocational specialist, and with a financial expert. When a fair and reasonable figure for lost future income is calculated, and when the family asks for that amount in a personal injury claim, the statements and testimony of those experts will be needed to support that claim. 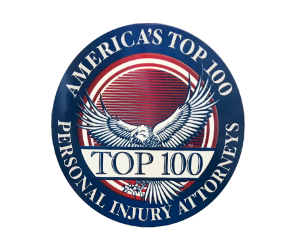 Some states, like Maryland, have different laws, so it is best to speak with a Maryland personal injury lawyer. WHAT IS A BRAIN INJURY VICTIM’S “LOST” EARNING CAPACITY? Two elements are key when calculating a child’s lost future earnings. The first is lost earning capacity, which is the difference between what the child would have earned without a brain injury and the actual income the injured child will now be able to earn. The second element to consider is the number of years the child would have worked without the brain injury. A traumatic brain injury can be caused by a blow, a jolt, or even a simple bump to the head. A traumatic brain injury that does not cause the victim to lose consciousness may still impair a young person’s cognitive, physical, and emotional behavior for weeks or even longer. Some symptoms or signs of TBI may or may not emerge immediately, while other symptoms may appear weeks or even months after the injury-causing accident. WHAT IS THE BEST WAY TO HELP A CHILD WITH A BRAIN INJURY? Young people can sustain a traumatic brain injury in a variety of ways. Automobile accidents are a leading cause of TBI. So are sports and playground injuries. Traumatic brain injuries can be the result of falls, bike and skateboard accidents, swimming pool accidents, and a number of other types of incidents. If your child is injured because of another person’s negligence in any of these scenarios, consult right away with a Chicago personal injury attorney. When another person’s negligence is responsible for a child’s brain injury, the person has the right to be compensated, and a skilled personal injury lawyer can help.